There’s no good way to digitally jump into the history of DC Comics—you know, only one of the most storied comics publishers ever—and that’s a damn shame. Now would be the perfect time for DC Comics to unveil an all-you-can-eat offering like Marvel Unlimited, something that opens up the company’s back-catalog for a recurring subscription fee. For $10 a month, Marvel Unlimited lets you go all the way back to the 1960s on certain titles. You can see Stan Lee, Jack Kirby, Steve Ditko and their co-creators laying the groundwork for the company’s most popular and quirkiest characters, and then see how those personas evolve over the decades. It’s how I managed to take the long view on Daredevil recently and, frankly, having all that history at your beck and call is amazing. The big hitch with Marvel Unlimited is that its most recent titles are six months behind the newest issues. Nevertheless, I’ve got a few friends who primarily read their Marvel Comics on the company’s Unlimited service and say they don’t mind being six months behind on the drama and goings-on in the books they’re reading. And if you want to get current on an ongoing title, you can always pony up for the full-price option. It’s really baffling for a company like DC—which rightfully prides itself so much on its own history—doesn’t have an equivalent digital service. One friend of mine joked that DC hasn’t done this because they don’t want people remembering how good their output used to be. But that’s just trash talk. They do offer their older comics at a discount of $1.99 and will have $0.99/issue sales on storefronts like Comixology. But that still adds up if you want to binge on, say, the Alan Grant/Norm Breyfogle Shadow of the Bat title from the 1990s. I don’t mean to underplay the amount of work it takes to scan, edit and re-present thousands of printed-on-paper comics. 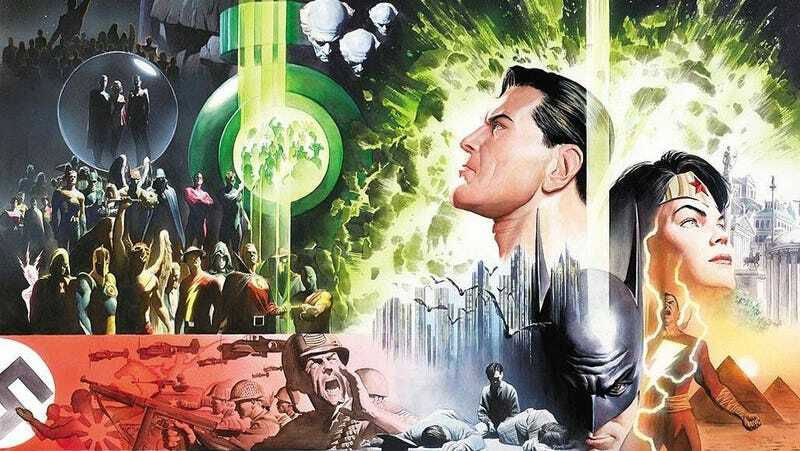 But a lot of DC’s classic output has already gone through digital reproduction on its way to fancy re-releases and more recently produced titles are in the pipeline on a regular basis. DC Comics has metric tons of great, weird and so-bad-they’re-good stories left behind by the whims of editorial changes and shifting trends. Letting readers re-discover them would be a great way of reminding people that they have been a shop that let intersing work flower under their banner.